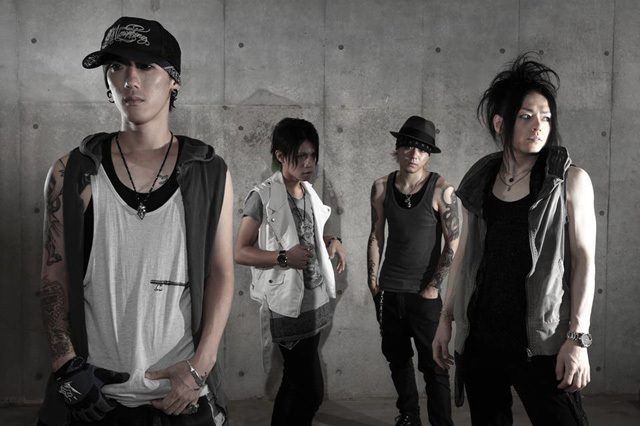 LOKA is an Alternative Hard Rock band based out of Tokyo/Japan. But their music does not sound “Japanese”, if you listen to their music you’ll find the music back bone to be more American Hard Rock. Also combined with raging synthesizer and digital drum beats, their music does not stop only at live houses but spread to the club music scene. LOKA first makes their appearance on June 9th 2012. At that time, only the singer Kihiro and drummer KEN’ICHI were the official members, and bass, guitar players were formed by support members. On August 8th, LOKA releases their first EP “01”-zero one- and kicks off a nation tour from September. While on the road they also release their first Album on November 7th, “EnFLAME” and continues their nation touring to the end of the year (approx. 40 shows), both immediately selling 1000 copies and still growing. In 2013 April, they welcome Katsumi as an official bass player for LOKA. LOKA is set to kick off another nation summer tour including and international tour to play a summer festival in Taiwan, FORMOZ FESTIVAL. Though it’s only been a year since the band has formed, their musicianship, profession, and performance is considered top class in the country. In 2013, the band successfully toured Indonesia in October and Europe one month later for 10 shows in France, Belgium, Germany, Netherlands, Austria and Luxembourg. Reading the members past profile will make you understand that they’ve been around the music industry for a while.